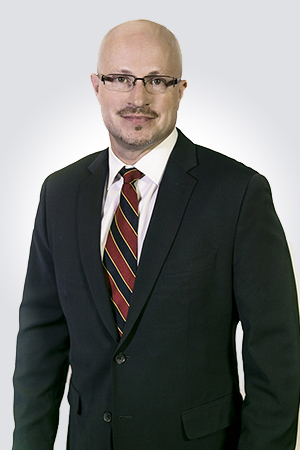 Keith C. Smith, Attorney, GrayRobinson, P.A., serves as Vice Chair of the Plant City EDC. After serving as a Senior Attorney and Vice President for Citigroup, Inc. and an attorney at the Trinkle Redman Law Firm, Keith joined GrayRobinson, P.A., where his focus is business law, estate planning, and real estate transactve. Keith emphasizes a personal connection with each client to understand their needs and provide effective solutions. The opportunity to contribute to the intentional growth and success of our community is why I initially got involved with the exploration and formation of our own EDC. As we have progressed, it has been very rewarding to work alongside so many other community leaders vested in what’s best for Plant City. . Helping to create high wage jobs will elevate the overall quality of life in our area and is a key focus of the EDC. We are growing awareness of our unique value proposition of a strategic location, a business friendly environment and a strong sense of place here in Plant City. GrayRobinson is actively working alongside many of the projects and developments in the community. With over 300 attorneys throughout the state of Florida, GrayRobinson is able to meet the dynamic market needs of Plant City and to help guide those involved with smart and sustainable growth plans.